Happy Birthday my dear Cousin. 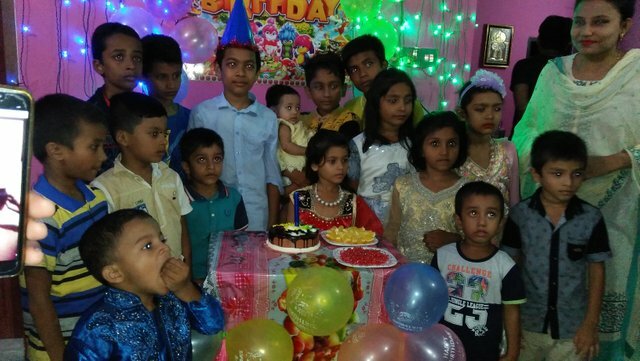 The cousin's birthday is celebrated on 06/09/018. It's really enjoyable and memorable ceremony. Relatives, friends and family members were present. You got a 27.24% upvote from @redlambo courtesy of @saifsinformation! Make sure to use tag #redlambo to be considered for the curation post! You got a 22.22% upvote from @whalecreator courtesy of @saifsinformation! Delegate your Steem Power to earn 100% payouts. Congratulations, your post received 44.51% up vote form @spydo courtesy of @saifsinformation! I hope, my gratitude will help you getting more visibility.